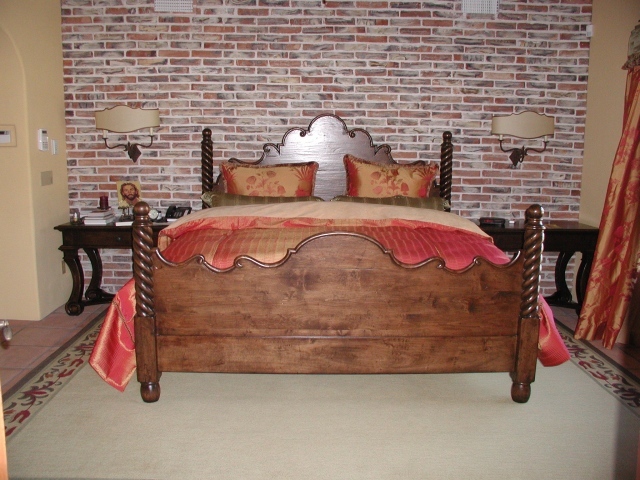 Hand-carved four post bed out of Alder. Custom hand glazed finish. Dimensions: King size and other sizes available.